Thanks to skincare and beauty brands, we can now live a healthier lifestyle. With Veganism fast becoming a huge trend, many brands are captivating us with vegan friendly, eco friendly, cruelty free and sustainable products. Veganism is not just about what you eat or wear but your way of life. Not just diet but a lifestyle. So we break it down for you because this is the future of beauty and we are IN. Team FRUK would like to introduce you to some of the very best vegan beauty products we are loving right now. 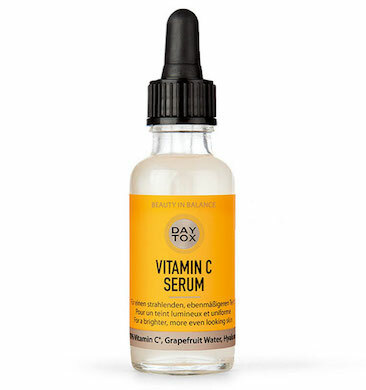 For instant glow DayTox Vitamin C Serum is the one. It tones and rejuvenates skin. Infused with 10% Vitamin C giving your skin a bright and brilliant glow with instant firmness. Free of silicone and paraben. This serum is vegan, cruelty free as well as gluten free with no artificial colours. For women that want to glow in a cruelty-free, organic kind of way, this is one powerful all natural brand. 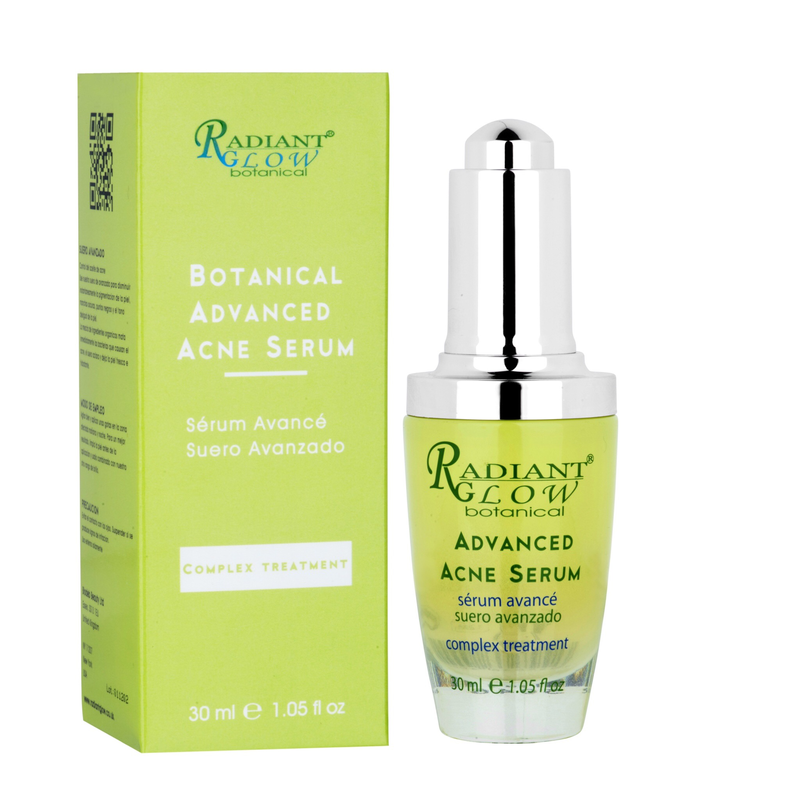 Radiant Glow Botanical Acne Serum is an extraordinary treatment that fights against the causes of acne yet gentle on the skin. Supercharged with a blend of organic plant ingredients that fights acne causing bacteria, accelerate the healing process and diminishes discolouration, leaving skin smoother, firmer and healthier. Skin Salvation Daily Moisturising Cream is also a cruelty-free, vegan friendly organic product perfect for dry skin, targeting eczema, psoriasis, dermatitis and dry, sore, itchy skin conditions. Unperfumed and free from petrochemicals such as paraffin or mineral oil, this pure moisturiser can be used by all ages and skin types. In need of paraben and sulphate free miracle-worker hair booster that puts life back into your roots then you are in the right place. Back Into the Roots 10 Minute Stimulating Scalp Masque is infused with an expert blend of burdock root, Hyaluronic Acid, vitamins and caffeine, stimulating the scalp and providing a cooling sensation of menthol whilst gently lifting the hair to create a fuller and thicker appearance. A healing blend of Manuka, Aloe Vera and Lavender floral water to tone, calm, soothe and hydrate the skin. This organic beauty product is vegan friendly, no artificial fragrance and has no parabens. Infused with anti-bacterial floral water to soothe, rejuvenate skin and promote cell renewal. Also great for oily/combination skin, sunburn and insect bites. A natural anti-ageing facial oil blended with skin enhancing plant oils that glide on without greasiness. The combination of Baobab, Argan, Peach Kernel and Jojoba oils work to revitalise, soothe and renew skin. A treatment face oil for dry skin and all skin types that helps to smooth lines and condition. Skin is left calm, energised and hydrated. Eucerin Aquaphor Soothing Skin Balm is clinically proven to help support the regeneration process of the skin. It soothes without irritating skin, supporting skin’s own regeneration process, while conditioning and moisturising it. Contains no colourants, fragrance and preservatives that can irritate your skin. Mio Get Waisted body cream works by enhancing the look of your skin, improving the appearance and elasticity of your skin. When exercise alone won’t do the trick, this is the go to product to enable faster results. Infused with 7 incredible ingredients that are designed to help skin look firmer and tighter. A perfect body is achieved by using this product along side exercise and a healthy diet. Celebrity Hairstylist, Leo Bancroft reveals his style secrets to fight the frizz using 3 amazing products to prep, style and finish now available in Tesco. And Flexible Hold Hairspray has just landed and we’re already obsessed. A vegan friendly product that provides an all day hold with movement and a soft touchable finish while protecting against damage from UV rays and Moringa Oil to guard against urban pollutants.